In celebrity news, Dancing With the Stars pro Val Chmerkovskiy and model girlfriend Amber Rose have been at the receiving end of a lot of hate as they’ve gone public with their new found love. According to UsMagazine.com, rumors about the celebrity couple started flying while Rose was on this past season of DWTS dancing alongside Val’s brother, Maksim Chmerkovskiy. Val and Amber didn’t confirm their relationship until they were sure it was the real deal. 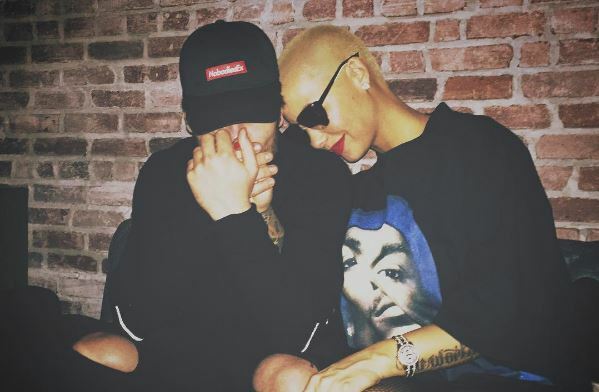 Recently, both Amber and Val have made no secret of their relationship with adorable Instagram posts where they’ve expressed their happiness. Amber even took to her podcast to say, “It’s been four months now and it’s awesome. I love his family and everyone’s so great. He’s great.” But that hasn’t stopped the haters from trolling. Val went on Twitter to concisely say, “It matters 0% what people who don’t know you think about you. All that matters is what the people who really knowU and loveU think about you.” He also went on to say it’s “not surprising, but still fairly disappointing how ignorant and vile people are.” Being the public figure she is, Amber is more than likely used to the hateful comments, while Val seems to be somewhat shocked. This celebrity news shows that Val can stand up for his woman! What are some ways to stand up for your partner in the face of adversity? 1. Be supportive: Before addressing any haters on your significant others’ behalf, make sure you first let them know that you’ve got their back through this. 2. Not too supportive: Let them handle the situation for themselves (of course with your support). Allow your partner the opportunity to stand on their own two feet and address the matter themselves. 3. Draw boundaries: Know when and what to react to by choosing your battles wisely. It can be a constant and tiring battle trying to react to every little comment or action. What are some ways you stand up for your significant other? Comment below!